I had the opportunity to check out the new os update for the Blackberry Playbook 64gb version. It is a great deal for $ 299. With the new version of the OS I am more impressed by it than in the previous iteration. It reminds me of the HP Touchpad with a better user interface and support. The application support is getting better. and one on their communications from Blackberry’s website. 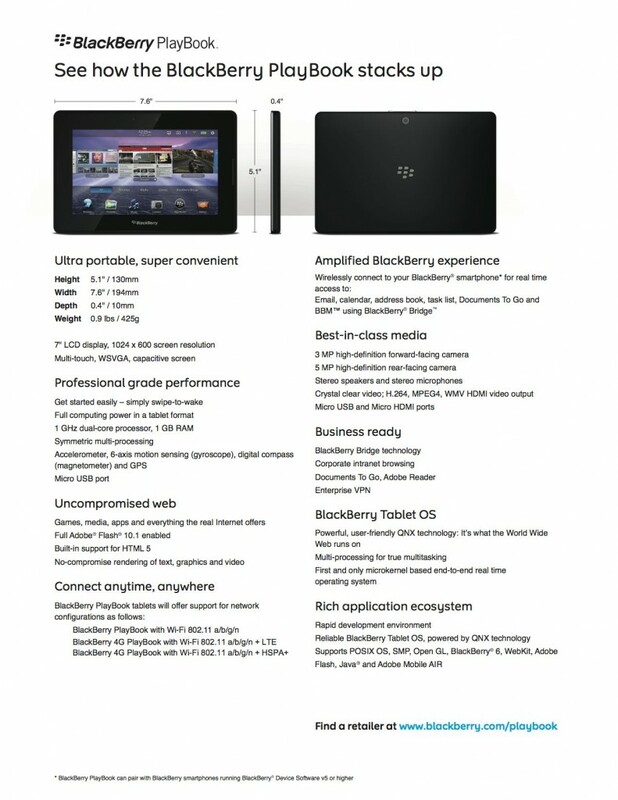 Be the first to comment on "CES 2012 Blackberry Playbook and Deals on the Playbook"